Grow old together with your leather jacket – No,No,Yes! Washing buttons and brass zippers creates oxidized feel with black rust. Did you know that there are two kinds of colouring of leather, coating with paint and dyeing? Coating is simply put colours on top of leather, closing the pours of the leather, which makes it harder to dry. 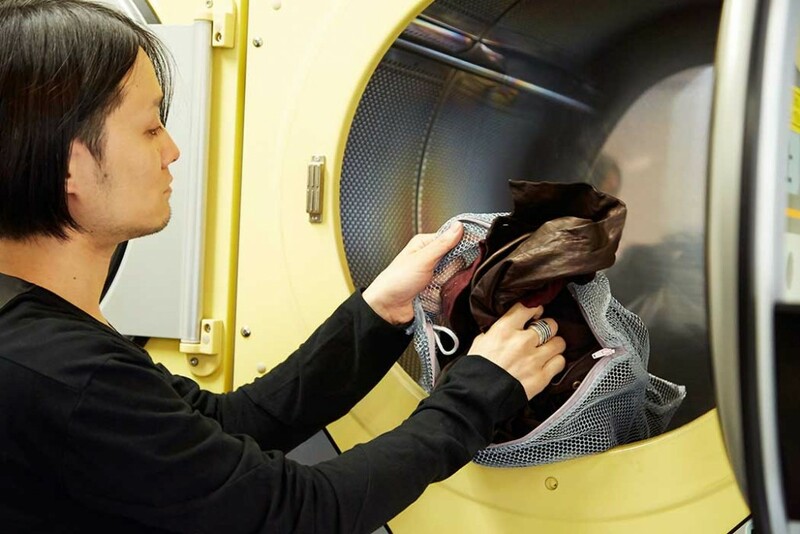 Dyeing, on the other hand, penetrates dyeing colours into leather, releasing sweat and easier to wash. Our leather jacket can be washed at home easily as we only colour our leather with dyeing at No,No,Yes! Place your jacket into washing net, always choose “gentle wash” with the washing machine and neutral detergent. Same coloured jackets can be washed together. Avoid rainy season and we recommend May and September for leather laundry. We refer professional cleaning stores to those who want professional cleaning. Wrinkles can add more characteristic features to your jacket. Add strong twist to the parts you would like to play with after washing, leave it dry. Wrinkles add more casual feel to your jacket. Unique drying method for those after original style. After taking out of the washing machine, twist the waist and arms, leave it dry. Wrinkles gives different style to your jacket. Leaving without twists can of course gives ageing feel as well. Leaving at an airy balcony would dry it for one day. 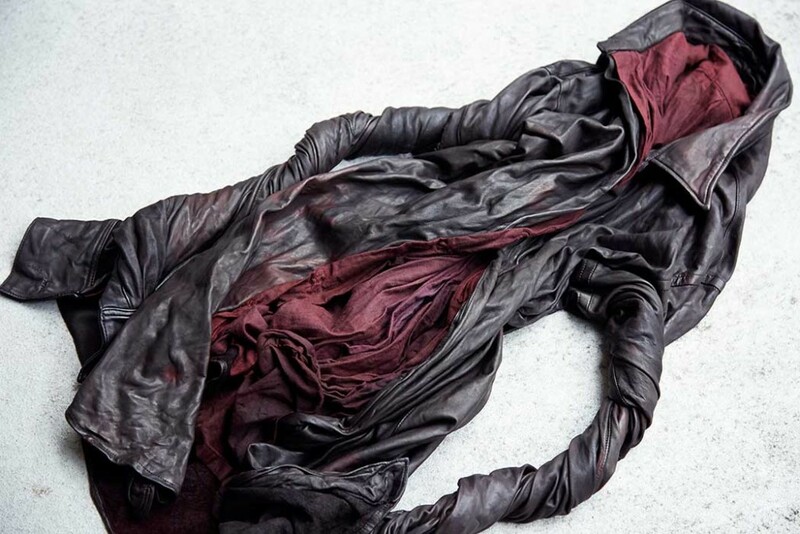 Our jacket can be dried with machine when running out of time. Massage it gently when feeling a bit stiff after washing. It will get softened easily. Every wash creates your new style. Do not afraid of washing leather jacket but enjoy the process. 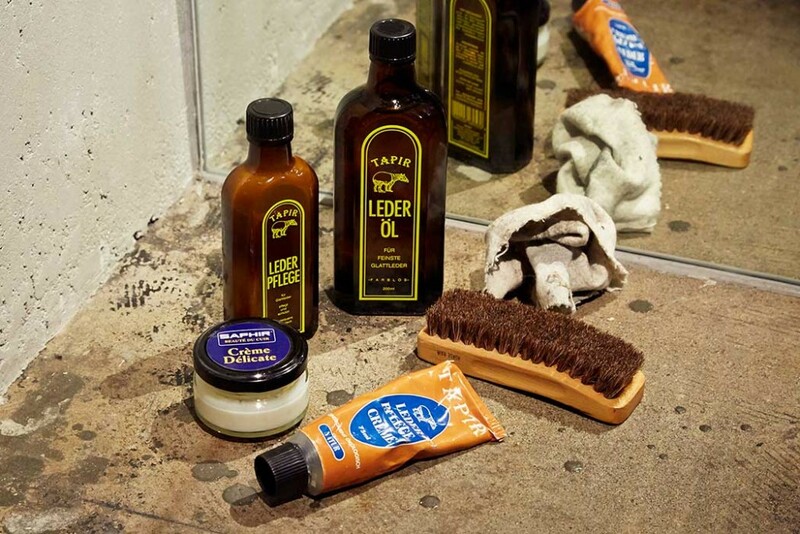 Leather care items such as brushes and creams can be purchased at Home Improvement Center like Home Depot. Brush the jacket to get rid of dust and pollen when coming home from outside. Use leather cream for stains after testing on the inside of the jacket. Collars, neck and cuffs parts need more attention with cotton cloth. Finish with protection cream. Depending on the leather of your jacket, choose liquid for tougher and thicker leather as liquid penetrates more than cream and cream for softer and thinner leather. Maintenance once a year is enough to keep your jacket well with high quality care items. Adjust the position of the shoulders when hanging your jacket. 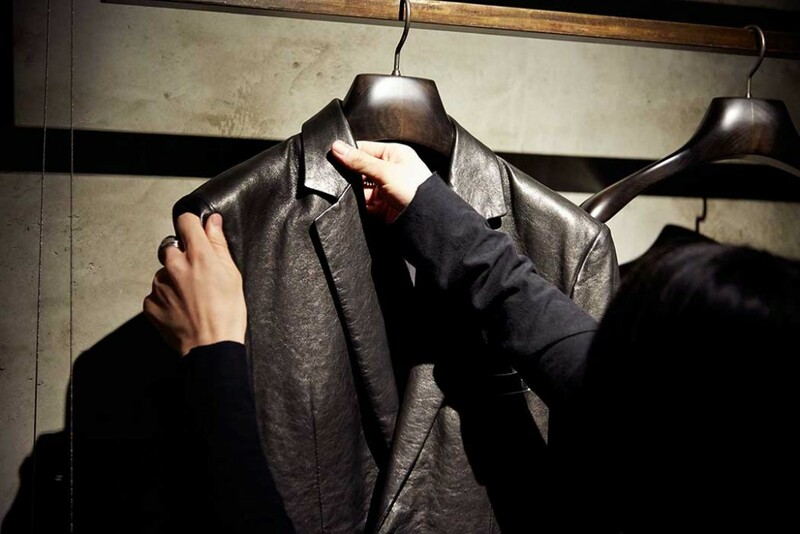 Most important process of storing your leather jacket is to hang your jacket with a coat hanger in airy room, keep away from molding, and to stay out of direct sunlight. Wire hangers tend to interfere with silhouette of the jacket, but can be used to play with the silhouette. To keep original silhouette, pay attention to the sizing of the coat hangers. We recommend wooden hangers as they absorb moisture. Those hangers can be purchased at coat hanger stores and also we take orders at No,No,Yes!. Good quality coat hangers keeps your style of your own.